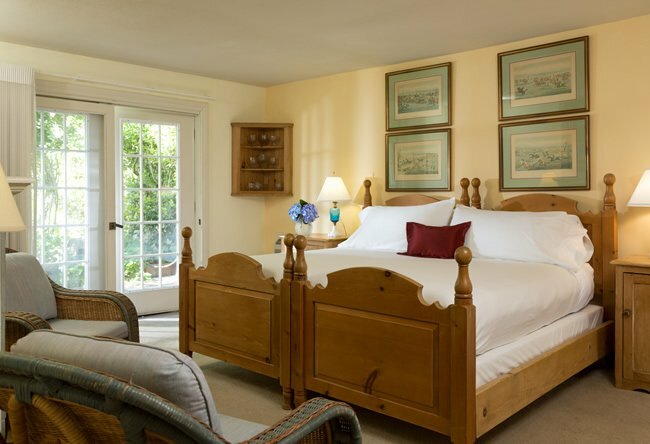 Enjoy your own private access to our English Cottage garden through the French doors of this sweet, classic room. 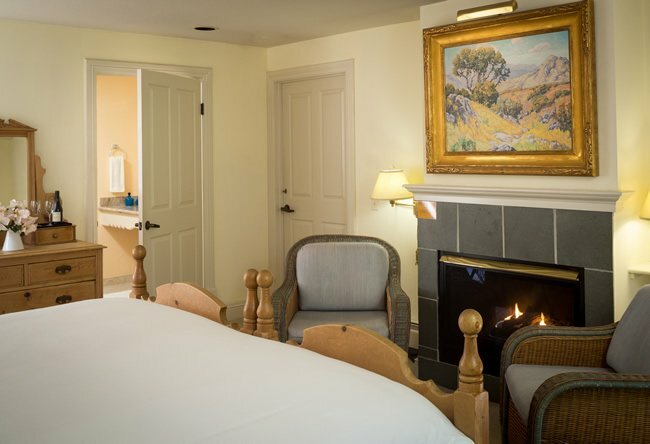 After a day of exploring the Sonoma Wine Valley, relax by the fireplace in the overstuffed easy chairs. Adorning the wall above the luxuriously appointed king-size bed are antique horse-hunting prints. The room’s name is inspired by its display of pressed-pattern glass bowls from the late 1800s that held coarse sugar of that era. 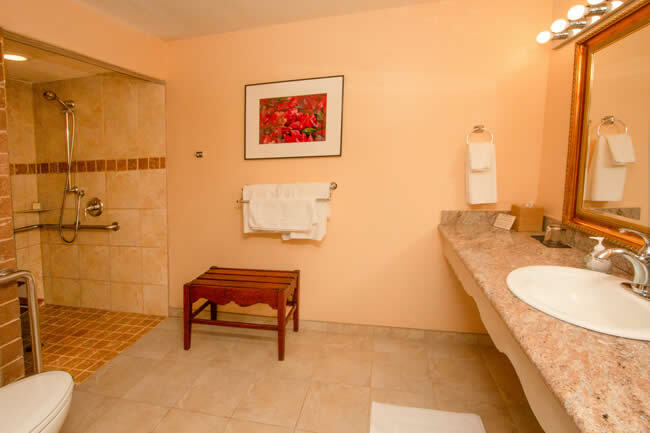 For the physically challenged, this first-floor room features accessible amenities including a roll-in shower, a hand-held shower head, and a fold-down shower bench. King bed can be converted to twin. Sound fire alarm. Accessible parking, entrance to room and path of travel. Accessible check-in process and dining room entry. This room is accessible from the ADA designated space in the parking lot via an unobstructed level pathway French doors lead into the room which has a large bathroom with roll-in shower, adjustable height hand held shower head, drop down bench in shower, grab bars around commode and in the shower stall, and a roll-under sink. 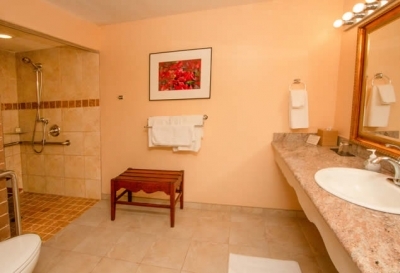 Bathroom provides ample turning radius. There is another door with egress/ingress to the living area of the Inn; providing easy access to the common area where the front desk, wine reception, beverage service, and gift shop are located as well as access to the veranda. The Dining Room is accessed from the level parking area on Church Street by either of two doorways that face Church Street. Though you may book online, we suggest that you contact us by phone (707-874-1047) to book your stay if you have accessibility needs. This will enable us to make your stay both comfortable and convenient.